We will discuss your needs and desires, and we will review your Medical and Dental history. 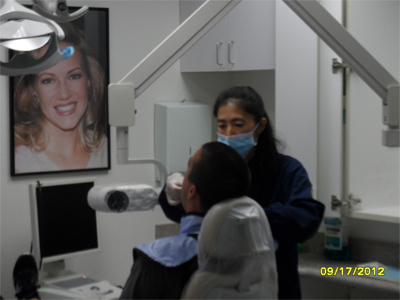 Our clinical examination is done usually during the same visit we perform you dental X-rays. It involves an extraoral examination and an intraoral examination. Cancer screening is part of our routine examination. Intraorally we inspect and feel for any lesions in your mouth and extraorally we palpate the glands of your face and neck. Periodontal Evaluation: Intraorally we assess the health of your gums and your teeth, we check for pockets around the teeth, receding gums, infections, etc. TMJ screening: We evaluate your joints and muscles and the movements of your Jaw. 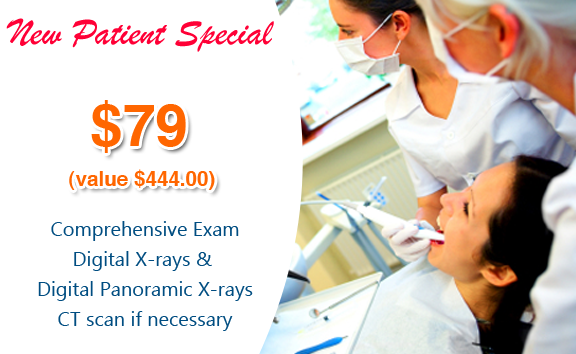 We will review your X-rays with you, we check for cavities and evaluate any restorations that you may have. Cosmetic Evaluation: We evaluate discolored teeth ( whitening), chipped, rotated, malpositioned, broken teeth and and will discuss all your need and give you a complete idea of any cosmetic options available such as Porcelain veneers or porcelain crowns. 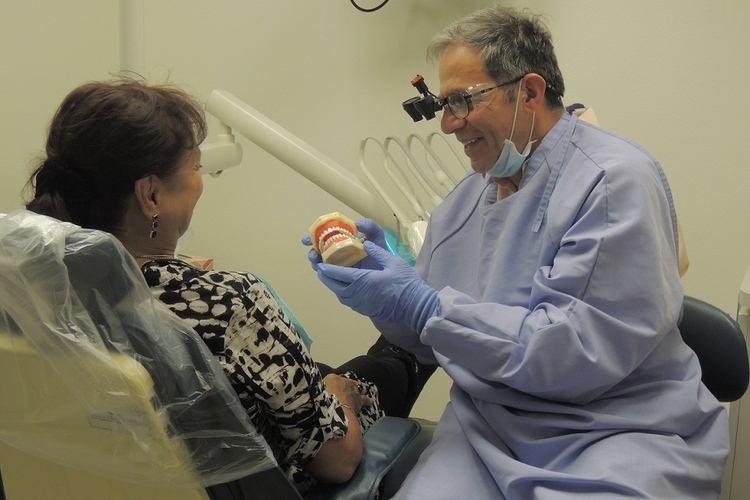 Some patients may need additional diagnostic tools to complete their evaluation: for example making impressions to study the bite or to perform diagnostic models to address changes to your dentition. Other patients may need additional X-rays or CT scans. We will discuss all these needs with you and explain and show you how we will treat your mouth.